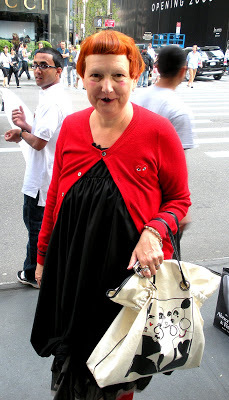 I ran into Lynn Yaeger, fashion writer for the Village Voice, on my way to MoMA. She inspires me to stay original and creative with my own style. Lynn mixes 20’s glamour with modern clothes and accessories to create a completely unique look.